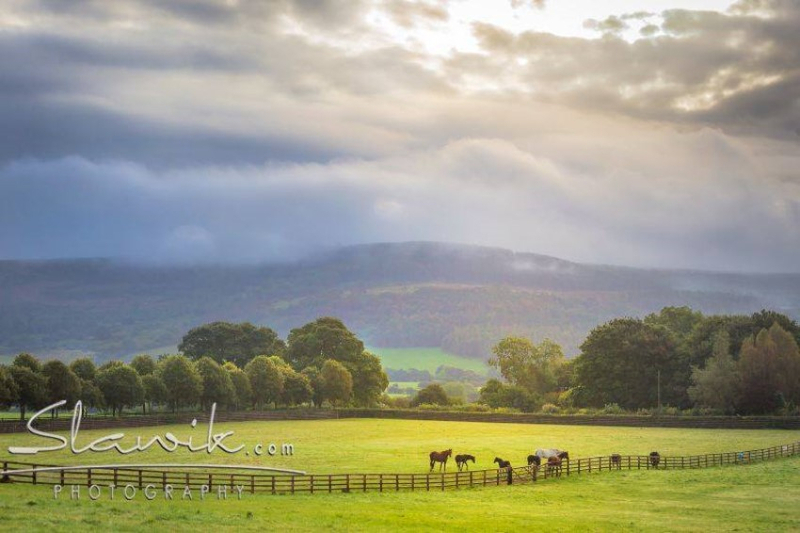 Thank you to the amazingly talented photographer Christiane Slawik for the photoshoot at Mount St. John, this was on behalf of Rower & Rub who created our new competition with all the stabling fittings and fixtures, which are of the highest quality and we can highly recommend working with them as the best in the business. 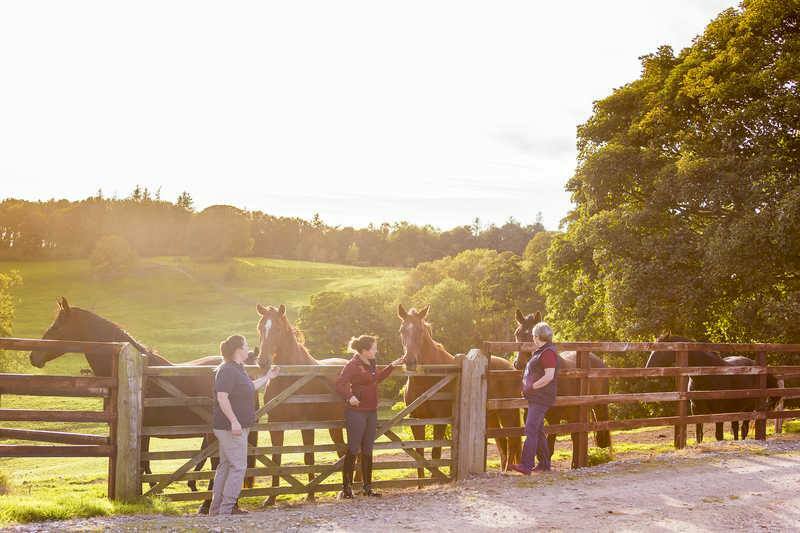 The picture below shows a few of the Mount St John broodmares captured on this day. From left to right Atterupgaard's Dallara (Sandro Hit x Caprimond x Donnerhall, she is out of World #18 ranking Cassidy's, full sister); Royal Schufro (Rubin Royal x Donnerhall x Pik Bube, who is out of the full sister to Don Schufro); FBW Deja'vu (Dacaprio x Gluckspilz x Adlerfarn, she is a former Bundeschampion and Young Horse World Bronze Medalist); Front Row (For Compliment daughter of Deja'vu); and Tia Roma (Donnerhall x Rubinstein, from the Rudilore damline of Rubin Royal). 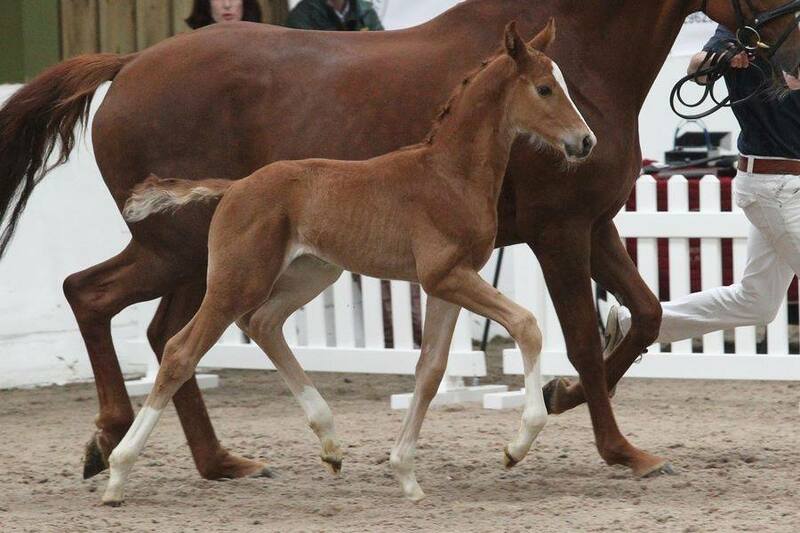 Congratulations to the breeder Dorthe Jeppensen of DMJ Horses. ZOOM (Zack) is Diva's first foal and we are eagerly awaiting her Don Juan de Hus due in 2017. We were delighted with Emile's routine training visit this month. All the mares are coming on in their training and we can't wait to step them all up another level for next season. Team picture here is from the BD Nationals, thank you Emile for your ongoing mentoring. 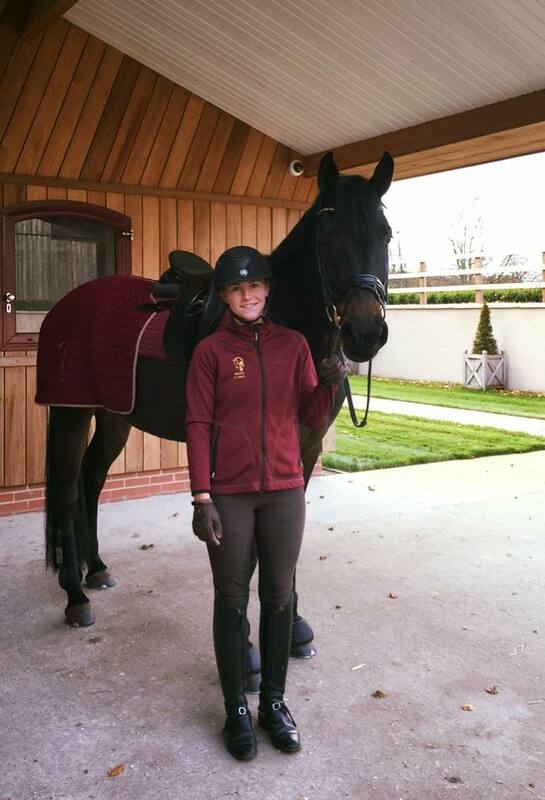 We are delighted to welcome Klara Bothmann into the team, pictured with 4 year old Frankie. 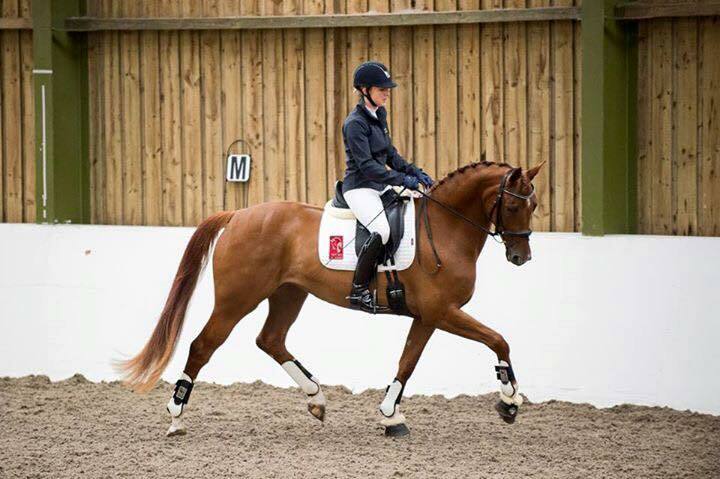 Klara is Danish born but also trained in Germany in a top stable, she has ridden to Junior squad level but is also doing a super job starting our 3 and 4 year old horses too. 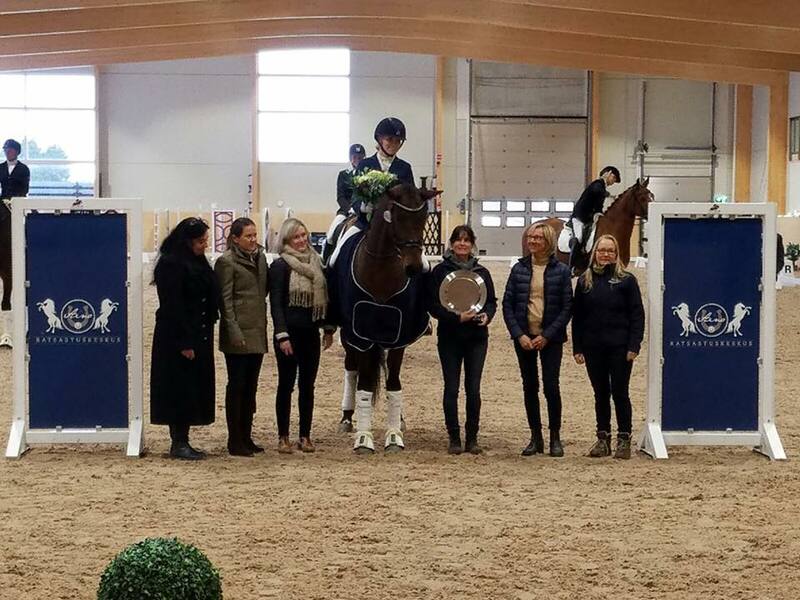 Emma visited Helsinki this month to guest judge the Finish Young Dressage Horse Finals! Emma enjoyed her trip and meeting a number of breeders and riders on the visit. It was a pleasure to stay with Stella Hagelstam and see her training. What an exciting future for Finish Dressage with some fantastic horses and riders coming through. 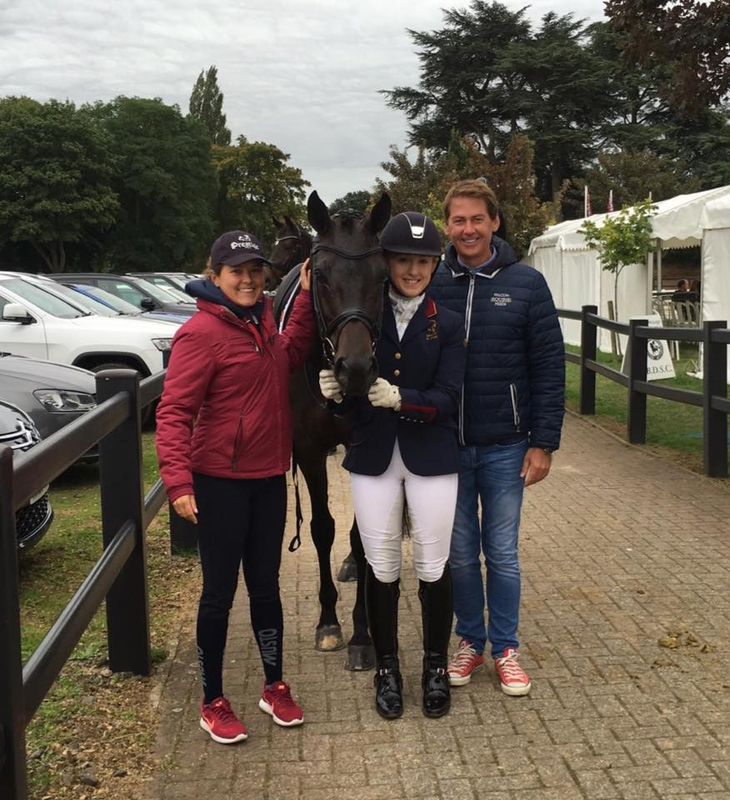 Two of the star MSJ colts of 2016 have left for their new home with Jessica Michel Botton, Olympian and multiple times French National Champion. She purchased MSJ Benchmark (Bordeaux colt out of Dejavu) and MSJ Dot Com (Don Juan colt out of Divertimenti by Dimaggio). We are very proud and thankful Jessica chose Mount St John. 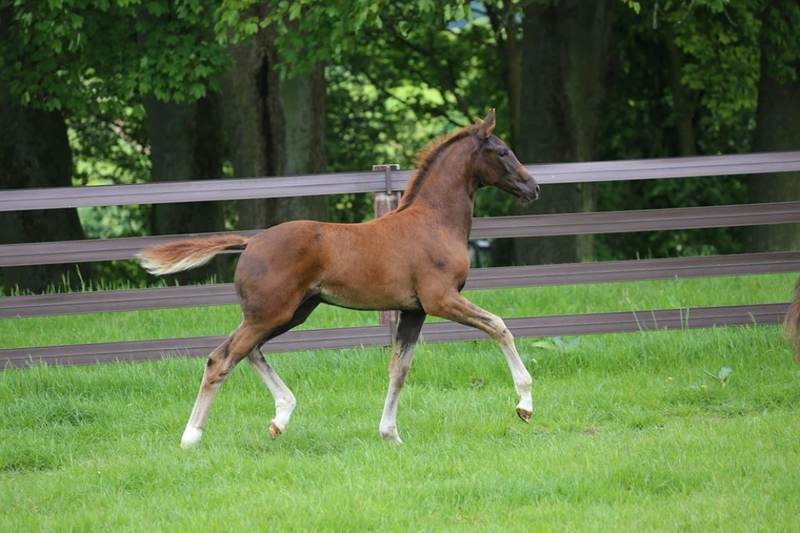 We wish her lots of success with these super colts and we are excited to continue following their journey into becoming dressage stars of the future. She qualified for Shearwater Young Horse Semi Finals on her first attempt with 8.04 and also done a BD Prelim test where she scored +70% on her first outing from home. She also finished 5th in the BD National 4 year old Finals. 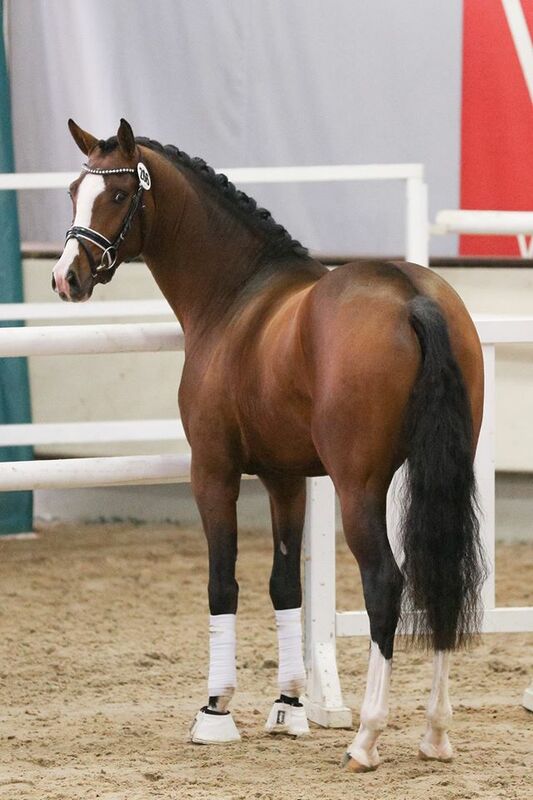 Felixkirk is from the Weissera dam line which is also directly the same line as the current number one world ranking dressage horse Weihegold, the silver individual medallist in Rio 2016. Owned by MSJ from a foal, she is now 4 years old. She's a very uncomplicated horse to do everything with both in the stable and under saddle.